Mandolin Concerto No. 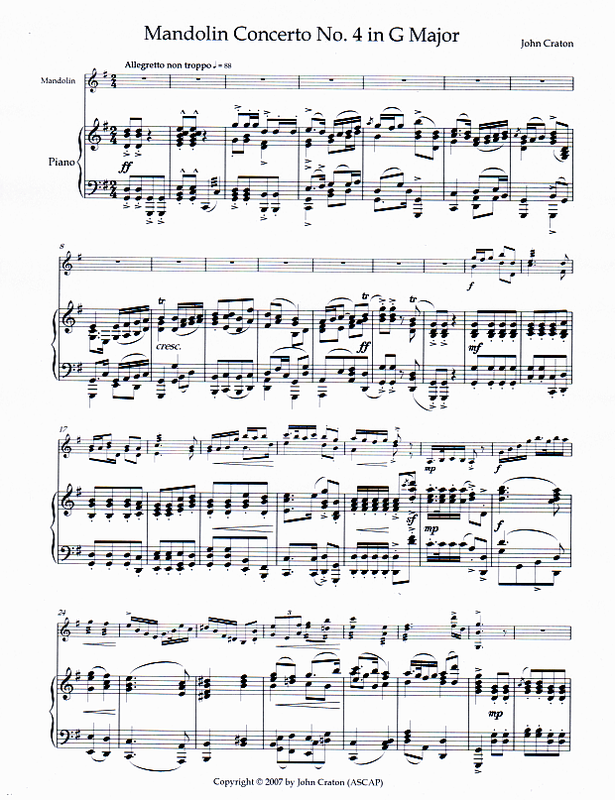 4 in G Major. Composed for British mandolinist Alison Stephens, the concerto is an homage to the nineteenth-century American composer Theodore von La Hache. Reflecting La Haches charateristic optimism, it consists of three movements: 1. Allegretto non troppo; 2. 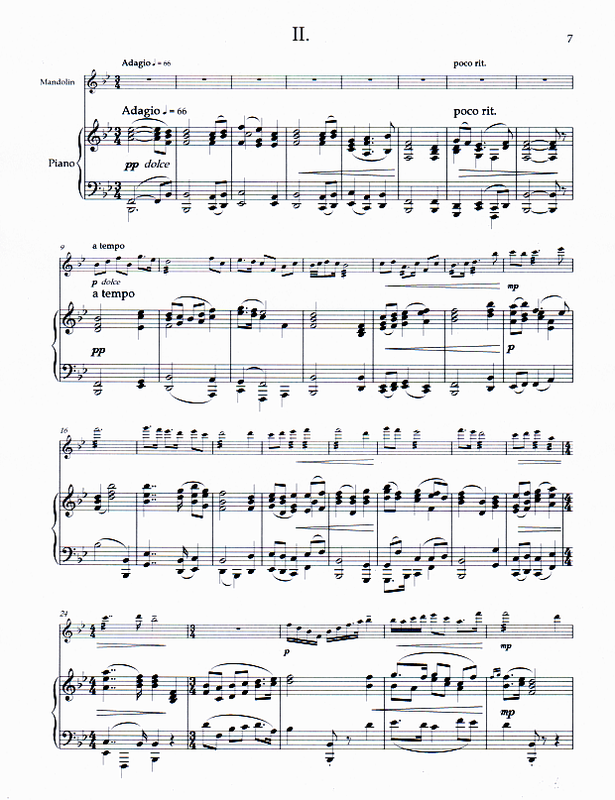 Adagio—Andante con moto—Adagio; and 3. Allegro vivo. 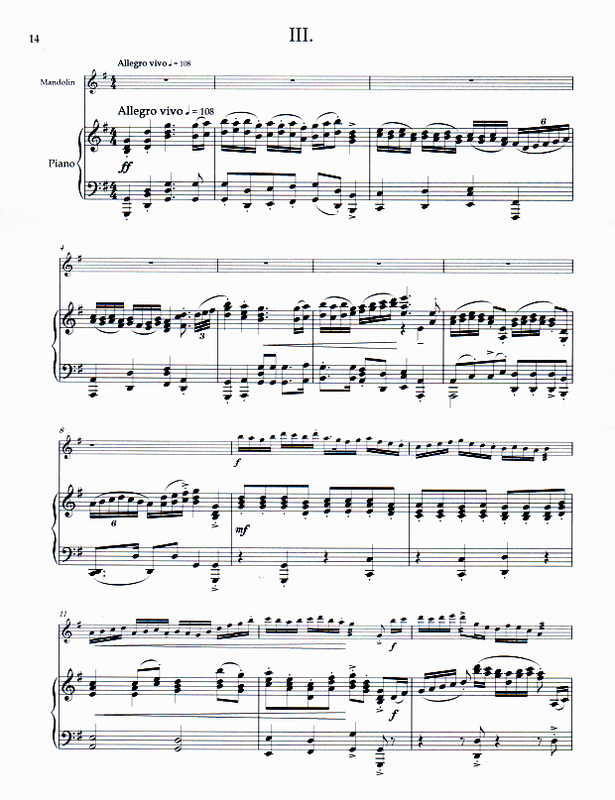 This edition has been transcribed for mandolin and piano. Performance Time: App. 17 min.